Brand development for “The Family Place” Charity Campaign sponsored by Pepsi-Cola. The event included a night of entertainment with Queen Latifah with all benefits going to “The Family Place” charity. 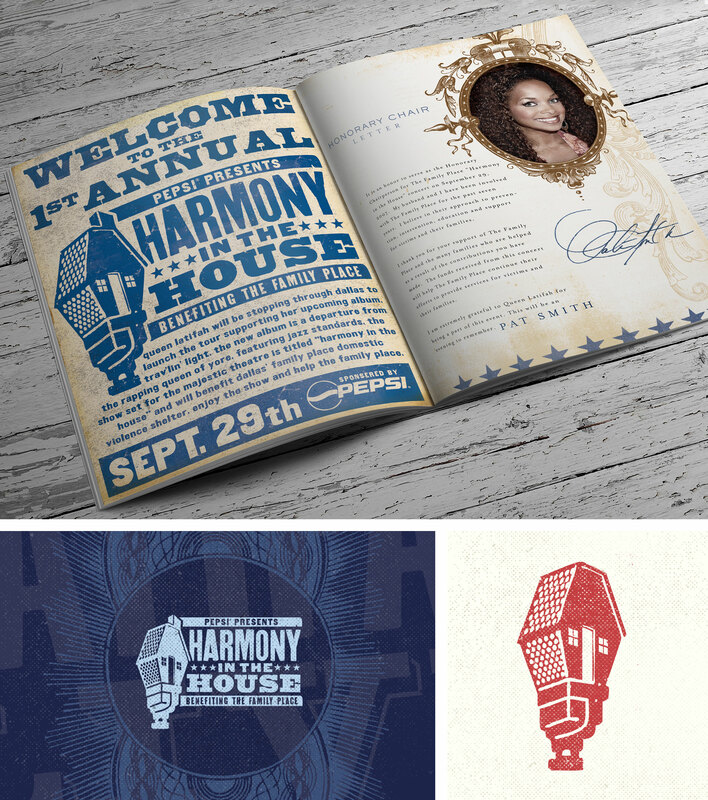 Elements included Logo Design, Event Brochure and Promotional Materials. AWARDED: The “Harmony In The House” logo icon published in the Logo Lounge 09 Book.